Plan for the Future, Breed Now to Cowtown Cat, Mobil. Full breeding, boarding & foaling facility. No, it’s not the title of a new mini-series, it is a feature story that ran in the April 6 edition of the Blood-Horse magazine. Written by Meredith Daugherty with photography provided by Eclipse Award winner Anne M. Eberhardt “Breaking Bad Habits – Ed Crothers turns horses around at Cedar Brook Farm is a five-page story that tells the story of Ed’s life-long involvement with horses of all breeds and his “horse whisperer-like” treatment of pain. He did a great job in promoting the Ohio Program and the importance of bringing better bloodlines to the state. Click on the attached link here and enjoy the story. 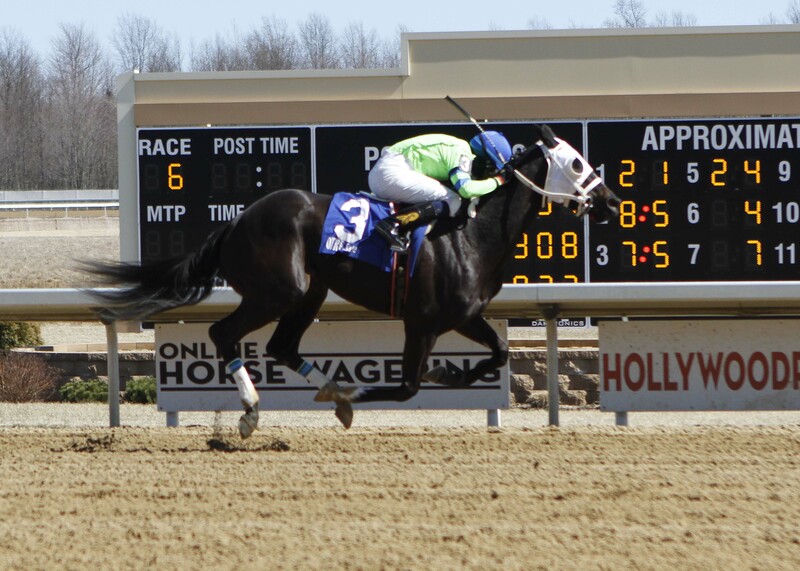 Ron Paolucci Racing LLC and trainer Gary Johnson are off to a quick start in the 2019 Ohio Fund Program as they captured the first stakes of the season with a dominant win by Totally Obsessed in the $75,000 Southern Park at Mahoning Valley on March 23. Except for two off-the-board starts against open company at Churchill Downs and Gulfstream Park, Johnson has trained Totally Obsessed. Paolucci and Johnson had their eye on the year-end big prize – the $150,000 John W. Galbreath on The Best of Ohio card. To get Totally Obsessed experience around two turns they found an open allowance race at a mile versus males at Thistledown three weeks prior to the Galbreath. She kept within a length of the leader for 6 panels and faded to fourth. “We put blinkers on her for the Galbreath, but let’s face it – it was Drillit’s day and she romped over twelve other fillies by 16 ½ lengths, while we finished a solid second.” That win stamped Drillit as the state’s Champion 2-year-old Filly. Totally Obsessed left Johnson’s barn a few day later for her two uneventful starts against open company out of state. In her first start she caught a sloppy track and was squeezed at the start and she tried the turf for the first time in her second. “Oddly enough, it may have been a blessing and a big advantage as she returned more mature. I just freshened her up and now I think she has really got it together,” said Johnson. Totally Obsessed was “much the best” in her 2019 debut in a $31,300 allowance 6-furlong race and followed that by getting up in the final strides in a 5 ½ furlong, $38,000 allowance test over stakes-placed Candy Lane and her juvenile rival champion Drillit. “She was so fit from those two starts, all I did was jog her one time leading up to the Southern Park,” said the six-time leading trainer at Thistledown. “She walks into the paddock now and she is gorgeous, she is the real deal and a standout, very professional, no longer a 2-year-old learning the game.” Her major adversary, Drillit, was also parading in the paddock and the betting public made Totally Obsessed the slight choice. Totally Obsessed is a 3-year-old daughter of Tale of Ekati out of Dark Obsession by Grand Slam. Bred by Schleprock Racing LLC she was purchased as a 2-year-old at the Ocala Sale for $50,000. Her win in the Southern Park pushed her record to 9-4-2-0 for earnings of $153,517. Congratulations to O.T.B.O. member Ron Paolucci who at the end of 2018 was listed among the winningest owners in North America. His bright Lime Green silks finished first across the finish line an amazing 215 times last season! His runners went to post 917 times and had a record of 215-142-103 while amassing earnings of $4,418,484. Racing mostly in his home state of Ohio, he is active in private purchases and Loooch Racing Stables competes on many of the major circuits, employing a variety of trainers. The Ohio Thoroughbred Breeders & Owners would like to recognize the individuals who have given additional support to our organization by becoming “Gold Members” when they renew their annual registration. It is encouraging to know they are willing to give a little more to promote the interests of owning, breeding and racing in Ohio. We are a not-for-profit entity that serves as a foundation to takes measures to benefit Ohio by informing potential investors of the advantages of participation the thoroughbred industry inside of our borders. We are currently publishing sixteen annual newsletters as part of our effort to shine a light on the successes of the participants in the state. The O.T.B.O. also publishes the statewide stakes brochure and press releases concerning current events in Ohio. 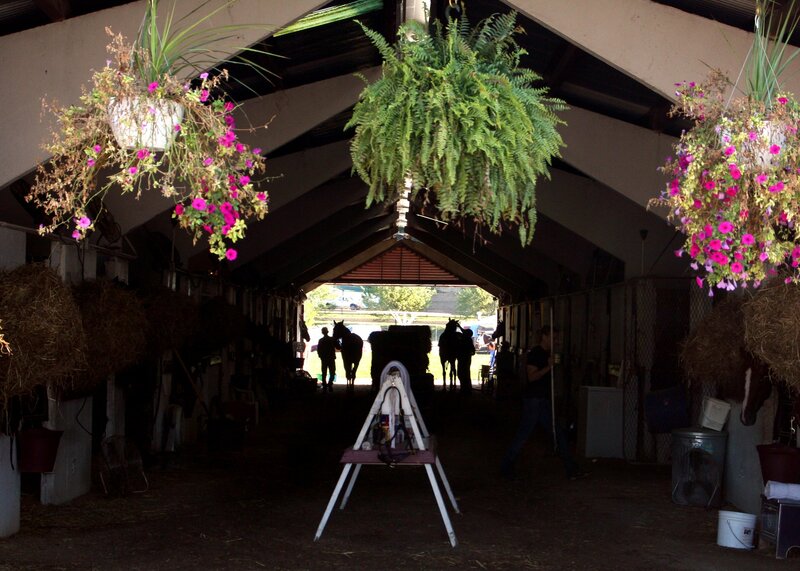 A major service we provide is organizing the Ohio Thoroughbred Fall Mixed Sale. It is a large task that involves many levels of involvement and coordination. 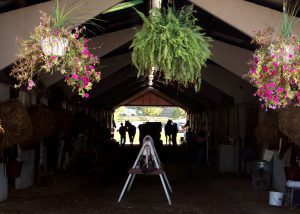 Most importantly, the sale provides a venue for Ohioans to sell and purchase state-bred horses that will eventually take part in the growing Ohio Fund program – both in purses and breeder’s awards. Editors note: this list was compiled in mid-membership drive, please forgive any omissions. With knowledge comes power. A most important tool in educating our lawmakers and the general public to the many financial benefits of horse breeding and racing is currently in the works and we need your participation to create it! 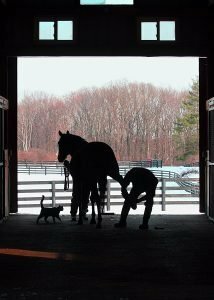 The goods and services that are involved in breeding, raising and racing horses creates an amazing benefit to the state of Ohio. We need to create awareness of our viability and the vast advantages it provides for employment in Ohio. Cummings Associates and Civic Economics have been retained by the Ohio Harness Horsemen’s Association and the Ohio Horsemen’s Benevolent and Protective Association to measure the impact of horse racing to the Ohio Economy. This survey is an essential component of that study. The survey is aimed at owners, breeders, and trainers of Thoroughbred, Quarter Horse, and Standardbred race horses active in the state of Ohio in 2018. If you complete the survey in PDF format, please save under a new filename and mail to mattc@civiceconomics.com. This survey asks for financial information of a sensitive nature, so we want to assure you that your confidentiality will be protected assiduously. Only personnel associated with Cummings and Civic Economics will have access to your responses, which will be maintained in a secure environment. Results will be presented in the aggregate, averaging responses in two ways: sets of questions will be totaled, then those totals will be averaged. The reporting of the study will provide no opportunity for anyone to identify your business information. All questions refer to 2018. You may use the calendar year or, if you prefer, your fiscal year 2018. If you have your 2018 (calendar or fiscal) financial records at hand, this survey should take roughly 15-30 minutes to complete. The minutes it takes to complete the survey could benefit the industry in Ohio for decades.